S/Sgt. Leonard Brimberry son of Mr. and Mrs. J.I. Brimberry, attended school in Lordsberg. 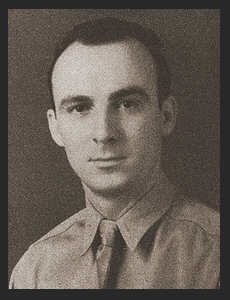 Entered the Army in Jan.1941, trained in Ft. Sill, Camp Gruber, Okla., Ft. Bragg; N.C. Went overseas in April, 1943; served in Africa, Italy. Awarded Good Conduct Medal, Am. Defense Ribbon, EAME Ribbon with three Battle Stars.